At Callaway Bespoke we believe in creating beautifully functional additions to any home. We relish the opportunity to convert the spaces you enjoy to the spaces you love! Let us hear your ideas or let us propose some of our own, we listen and advise. 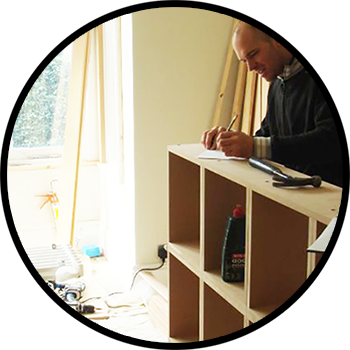 We will always explore all practical possibilities and deliver a high quality and timely solution to your carpentry needs. Skilled and specialist, let Callaway Bespoke impress you. Space is always at a premium in London, we all know how organised the modern home needs to be and functional spaces can really enhance not only your home but your lifestyle. 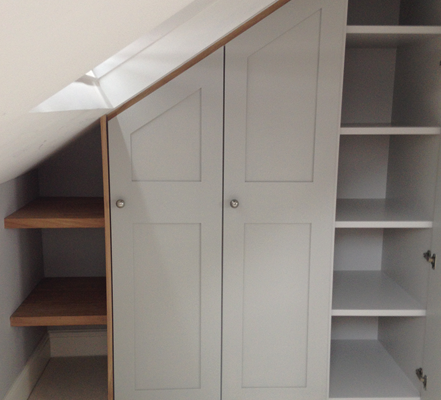 So be that a need for a large ensuite hiding wardrobe or finding a way of making that odd little nook or cranny earn it’s keep then let us provide you with a fantastic storage solution, at Callaway Bespoke we enjoy a challenge! As Londoners ourselves we see our fair share of tired or simply unloved alcoves, we want to save them! Push the possibilities of those beautiful spaces next to your fireplace and create functional units that are fresh, useful and can stand the test of time. It wasn’t that long ago we were trying to figure out how to fit large backed televisions into small spaces, now we see the drive for simplicity and visual balance, as feature areas of your home, a well thought out alcove can have a stunning effect on any living room. 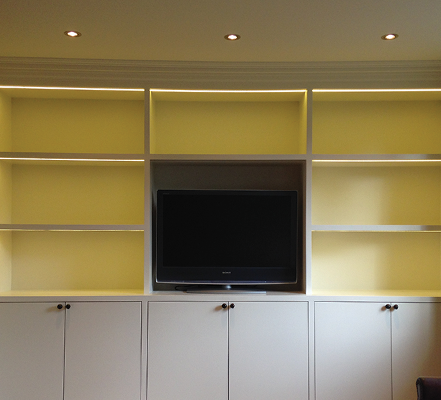 Callaway Bespoke will guide you through the considerations needed when designing your perfect media unit. The unit needs to fulfill various roles and can be as bold or as subtle as you wish but must always remain fully functional. 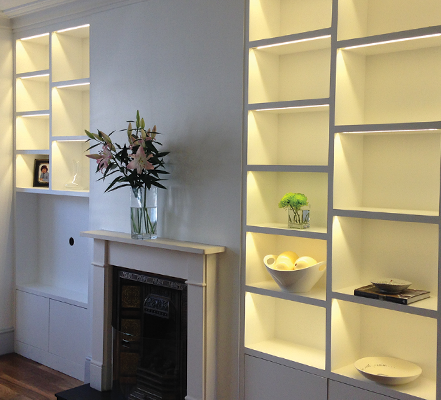 As a large focal point in any room we appreciate the commitment a client makes and design accordingly. We are specialists at finding solutions. 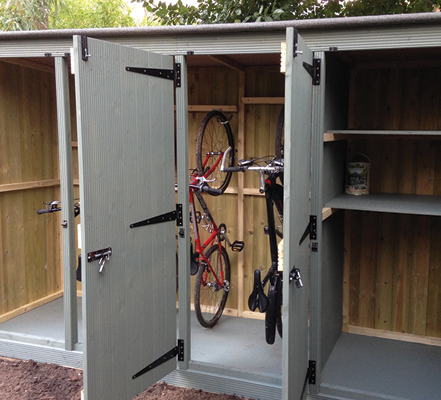 Where to put the bikes, the garden hose or the lawnmower? Let us help you figure out the most attractive options then set about delivering it. We will create fencing, features or outdoor storage areas that can transform your home.